Give your darling a pseudonym, like ‘Stella’ (Greek for ‘star’) or ‘Delia’ (an anagram of ideal). Modern day equivalents might include ‘Sapphire Heaven’. Or ‘Sugartits’. Compare her to some modest part of nature, like the sun. Ramble on in hyperbole about how inhumanly perfect she is. Round it off with a bit of feigned emotional pain. Petrarch, the star of the show. As it happens, there is no need for me to go and publish the above, because Bruno Mars has carried on the tradition for us, with his song Just The Way You Are, a love song dedicated to a ‘perfect’ girlfriend. 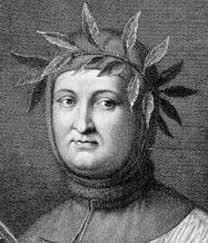 He even incorporates a bit of Petrarch’s swag, with the lines ‘her eyes/make the stars look like they’re not shining’ (a nature comparison) and ‘When you smile/the whole world stops and stares for a while’ (a nice bit of hyperbolic language). Unsurprisingly, I hate this song. I can’t even say it makes me feel warm and fuzzy inside, because it doesn’t; it’s creepy. In fact, I take issue with the whole concept. To start with, from Petrarch and his disciples to Bruno Mars, female ‘perfection’ has been qualified solely by their physical appearance. Considering that both examples are aimed at predominantly female addressees/audiences (male Bruno fans, I apologise), then what does this say about women? The implication is that women can only be appreciated for their beauty (not their great personality, or keyring collection). Therefore, they need to be perfect-looking to match up to this ideal. Meanwhile, from the female side we have Rihanna reassuring abusive boyfriends around the world that she Loves The Way [They] Lie, all topped off with a bit of sexified domestic violence in her videos. In short, what we have is a very dysfunctional (yet strangely marketable) portrayal of relationships. However, the reality is that most men are no more in search of a ‘perfect’-looking woman than women are in search of an aggressive Chris Brown lookalike. I’m a nice blond guy, with green eyes, tall and slim body, I’m a model/actor, starting my career now. And I’m looking for a nice girl, to have a chat, and see what happen, I really wanna a relationship, or something more. I prefer girls with slim, or fit body, and pretty. I’m a 26 yo attractive caucasian male. 6ft1 tall with a muscular build, dark hair with green eyes. I have a mediterranean look. Great smile, fantastic sense of humour. I’m educated, intelligent, witty and down to earth. I don’t take my self too seriously. I’m not vain but I like to keep myself presentable. I like to have a laugh and am generally a fun person. Im looking for a girl I can hang out with, go on dates and connect with. Don’t really have a type so long as you are near my age. My turn offs are: arrogance, snoberry, poor hygiene air heads, girls who find Russell Brand funny and attractive. Archibald’s message is a little longer, taking care both to recommend himself AND specify the type of lovely lady he would like to find. Archibald- the sweetie- makes no mention of looks, merely stating that he would like someone around his age, and warning them of potential ‘turn-offs’. I admire Archibald’s relaxed attitude towards female appearance, and I really do hope he finds a nice illiterate girl to share his distaste for ‘snoberry’ [sic] with. So, the evidence cries, man does not seek perfect woman. Man seeks woman-he-quite-likes-the-look-of-who-turns-out-to-be-pretty-cool. So why is it that, for centuries, we have worshipped this notion of the female perfection? Why do men still think complimenting a woman on her looks is the easiest way to snare her? Why is it still so popular to objectify swarms of ‘perfect’ half-naked women, particularly in music videos entitled Beautiful/Beautiful Girls/any variation of? In effect, these principles are misleading and detrimental to everyone but the cosmetic industry. Okay, things have progressed since the fourteenth century. But we still live in a world where six year old girls are dieting and wearing makeup. Clearly, this obsession with physical perfection, over and above any other qualities women might have to recommend them, has gone too far. We all need to say goodbye to ‘the perfect woman’.